General Park Roads: The Park is a one-way circle loop road of approximately 1.2 miles. At the bottom of the hill from the entry booth the road splits. You must bear to the right. The speed limit on all Park roads is 15 miles per hour. There are speed bumps throughout the Park which you should approach at a lower rate of speed. Visitor’s Center: The Visitor’s Center is the first building on the right. 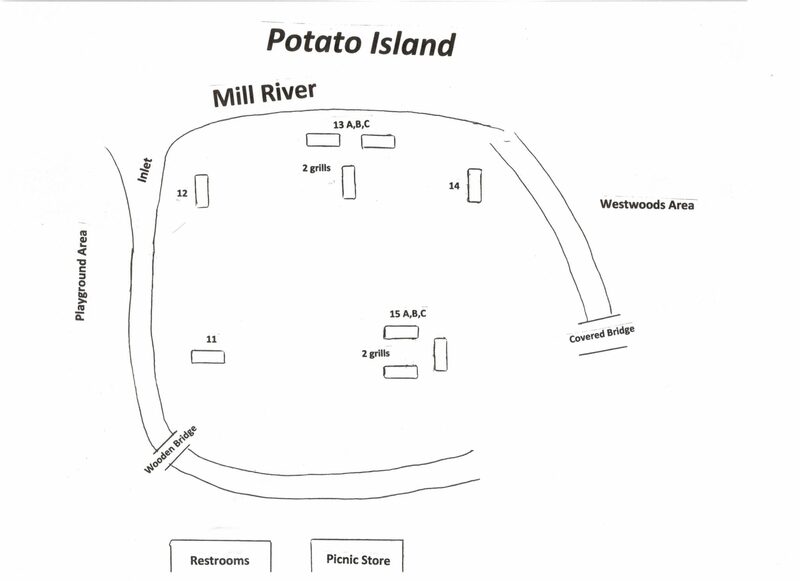 (Tickets for mini-golf and the bumper boats are sold at the Visitor’s Center). 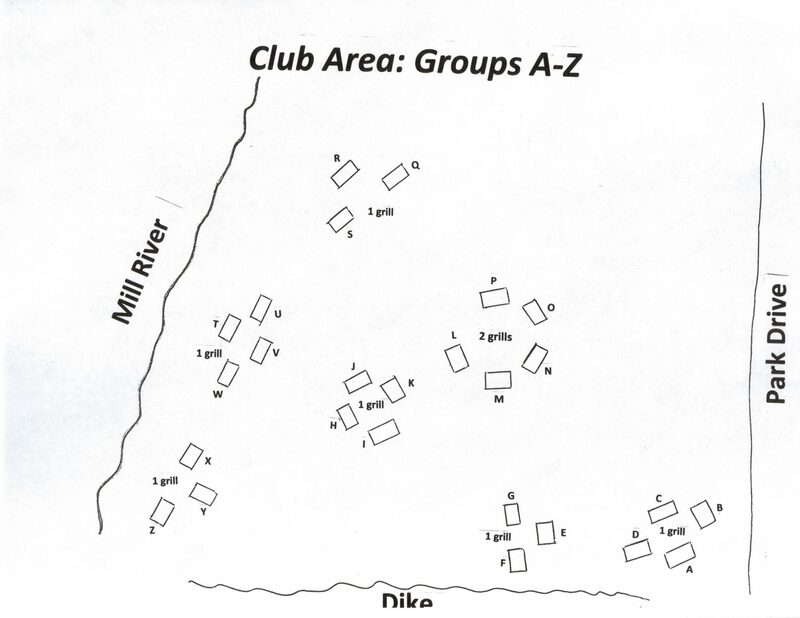 General Picnic Areas: Picnic tables are numbered 1 – 72, and each site has clearly marked signs. The sites begin to the right of the Dow Pavilion with number 72 and count down to number 1 in the Playground Area. The Club Area: The Club Area is located on the right approximately 7/10’s of the way around the park. It is across from the ball fields, and just after Pedal Boat Road. Dow Pavilion: The Dow Pavilion is approximately 4/10’s of the way around the Park. As you proceed around the loop road you will see Willow Lake on your left. 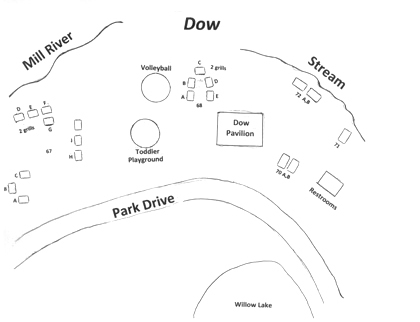 Just after you come down the hill by the lake you will see the Dow Pavilion on your right. 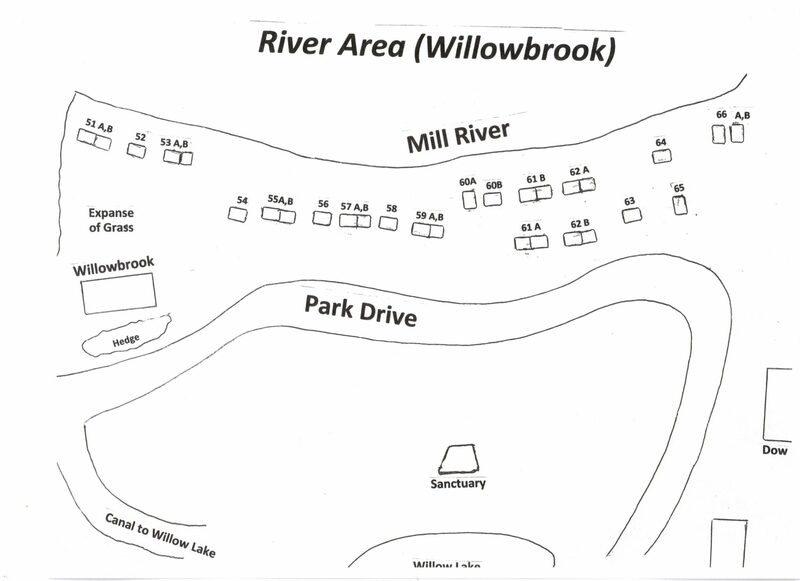 Willowbrook Shelter: The Willowbrook Shelter is located on the right approximately 2/3 of the way around the Park. To find the Willowbrook Shelter watch the picnic site numbers. They count down from 72. The Willowbrook Shelter is located just after number 53. 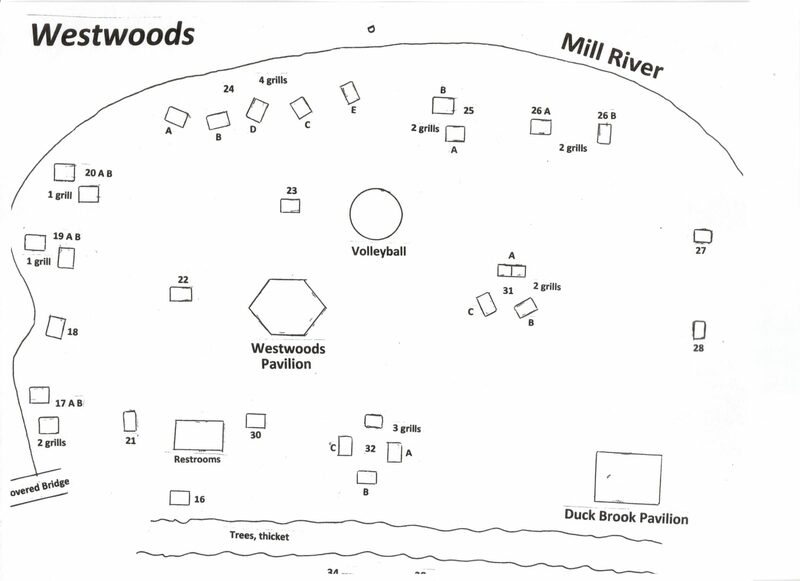 The Westwood Shelter and Duckbrook Shelter: These shelters are on the right approximately ¾ of the way around the Park. They are located behind the Sweet Shop, where there is generally parking available. Walk over the stone bridge and bear to the right for the Westwood Shelter and the Duckbrook Shelter. 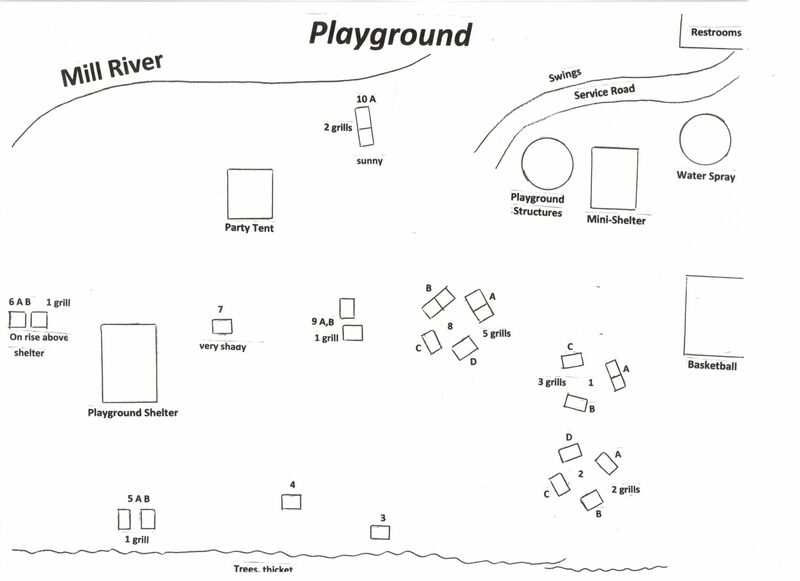 The Playground Shelter, Mini Shelter, and Party Tent: These three areas are on the right approximately 8/10’s of the way around the Park. They are just beyond the Look Park Grill, and behind the Spray Park. The Mini Shelter is directly behind the Spray Park, while the Playground Shelter is further back to the left. The Party Tent is the green and white tent just behind and slightly to the right of the Mini Shelter. 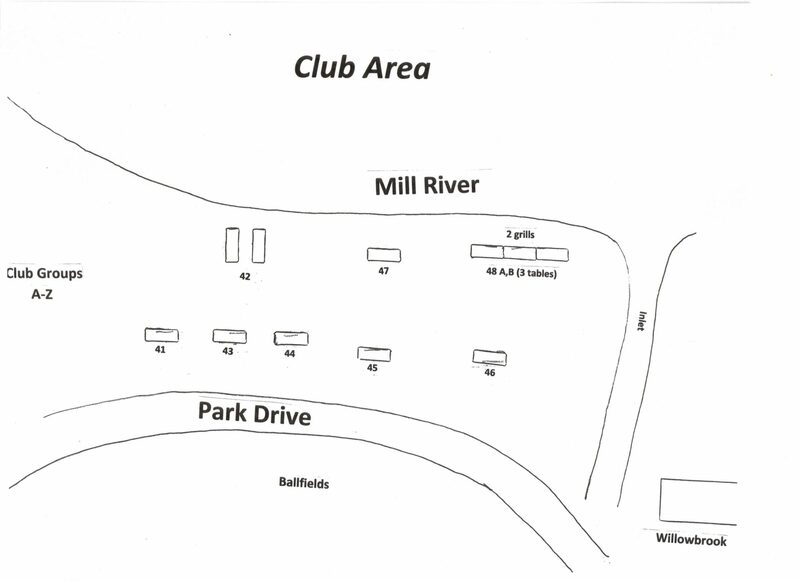 Parking spaces are located along the loop road, or in the Train parking lot located on the left just beyond the Look Park Grill. From Springfield/Connecticut Area: I-91 North to Exit 19; at end of ramp, Follow attractions sign arrows. Cross Rt. 9. You are now on Damon Road. Go to next light and go straight through. This is Bridge Road. Approx. 2 miles to Look Park. 25-35 minutes. From Amherst Area: Rt. 9 West over Coolidge Bridge to light. Turn right. at Next light, go straight 2 miles to Look Park. Approx. 25-35 minutes. From Greenfield/Vermont Area: Take I-91 South to Exit 20. at light turn right. Approx. 2 miles to Look Park. Approx. 25-35 minutes. From Pittsfield Area: From Lee, Lenox or Adams Route 7 to Route 9. Take Rt. 9 East toward Windsor and Northampton. The Park entrance is on the right just past the V.A. Medical Center. Approx. 1 hour. From Boston Area: Take Mass Turnpike West to Exit 4 West Springfield. Follow Directions from Springfield. Approx. 2 hours. From Albany Area: Mass Turnpike East to Exit 4 West Springfield. Follow Directions from Springfield. Approx. 2 hours. From Westfield/Southwick: Rt. to Northampton Center at light (Academy of Music on Right & Edwards Church directly ahead of you) Turn Left Onto Rt. 9 West. Stay on Rt. 9 through the Village of Florence until you come to the Park on Left. Approx. 30-45 minutes.